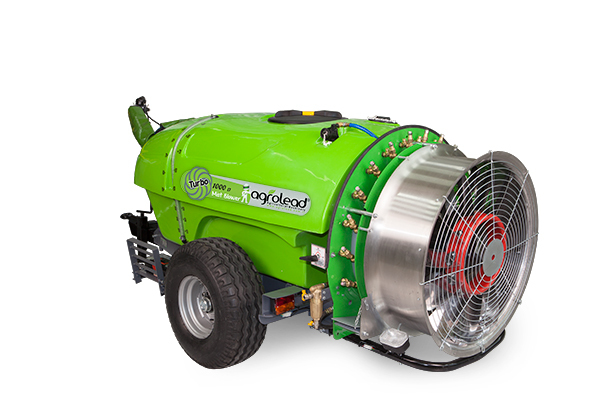 Strengthened fiberglass or polyethylene depot with clean water optional Italian pumps used in AGROLEAD Turbo Mistblowers three and four membrane pumps, which are COMET or BERTOLLINI, are operated by power take-off from tractor conveys pressuring chemical liquid to nozzles on fan. Fan is also operated with power take off and it sends pressured air out. 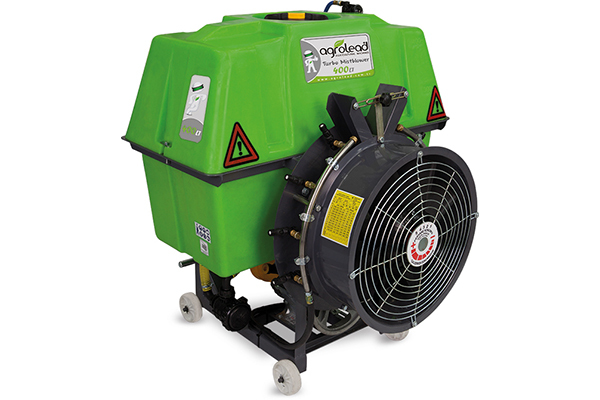 Pressured chemical liquid is sprayed by adjustable nozzles around the fan by air circulation and any kind of tree can be disinfected. Fans are operated by two speed transmissions. Also there is a V-belt pulley model with one speed. Atomization is possible on right or left sides by remote control. Nebula 300- 500-600 liters are mounted models, Arrosto 1000,1200,1600,2000 liters are pulled models.